Have you ever seen old black-and-white photos of operators patching cables together to connect a phone call? At the time, it was amazing that you could speak to someone not present with you in the same room. How quaint that seems in today's world. Digital technology has disrupted the legacy phone network and has liberated communications to include video and screen sharing in addition to simply speaking to someone in another room. The voice switch has gone from operators patching cables together to microprocessors sending packets of data over fiber at the speed of light. Upgrading to voice-over-IP (VoIP) telephony services offers businesses the benefit of cost savings, simpler billing, rich multimedia communications, and mobility. 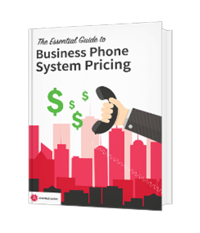 If you're considering upgrading your business phones away from a legacy telephone system, it's common to encounter tons of new technical terms. Developing a basic understanding of VoIP technology and how it can benefit your business can be beneficial in selecting the best provider for your needs. One term commonly used by vendors to describe products is a voice switch, also known as a soft switch. Switches are a normal component of VoIP telephony, which uses software to connect calls over the Internet. In this blog, you'll learn the basics of a voice switch, how to select the best switch for your needs, and what to expect from Atlantech's Class 5 switch. What Is a Soft Switch? Per IPSmarx, the term "soft switch" is actually a combination of the words "software and switchboard." 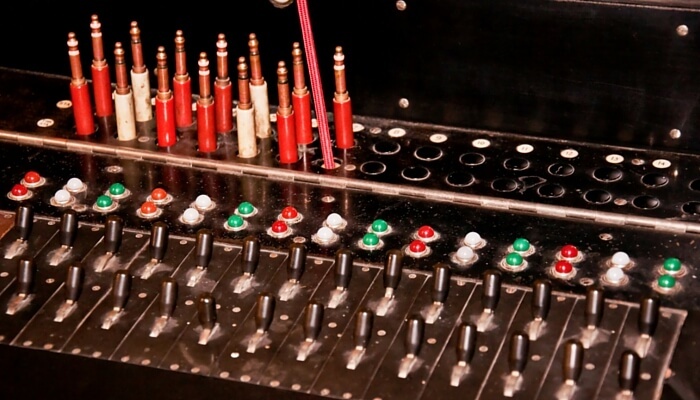 In the early days of phone communications, switchboard operators were physically responsible for connecting calls. Today, voice switches route calls automatically, using "programming logic," or software that lives on servers in the cloud. Even incumbent local exchange carriers (ILECs) and traditional phone companies no longer use traditional "switches." You may also encounter the term "VoIP Switch" in your VoIP research. As confusing as it may be, VoIP switches, VoIP voice switches, and VoIP soft switches are all the same thing: the software-based technology used to automatically route calls over VoIP networks. Business telephony is complex, and the "right" hosted VoIP solution for one organization can look drastically different from what's best for another. Any company with soft switch technology and minimum regulatory approval can declare themselves a VoIP provider. Optimally, your VoIP switch shouldn't matter, but it could matter if you wind up with a low-quality VoIP vendor whose quality of service (QoS) doesn't support your needs for professional voice communications. When it comes to soft switches, the most important criteria is that it can seamlessly communicate or receive calls from either PSTN or VoIP numbers. Hiring a vendor for hosted VoIP who offers sufficient quality of service, expertise, and a high-quality soft switch can help ensure your client experience is positive. What's the Difference Between a Class 5 Voice Switch and Class 4 Voice Switch? Class 4 switches, also known as tandem switches, are used by U.S.-based telephone companies to interconnect local exchange carrier offices for long distance communications in the public switched telephone network (PSTN). Class 4 switches don't connect directly to telephones. They connect with either class 4 or class 5 switches. A class 4 switch can also connect directly to a Private Branch Exchange (PBX), which is used to provide VoIP service. These services are offered to subscribers using the local loop. As a VoIP subscriber, your telephone is wired to a class 5 switch. If you place a call to someone who is not on the same class 5 switch as you, your call may be routed through one or more class 4 switches to reach its final destination. What Does This Mean for Atlantech Customers? Atlantech customers have the ability to place local, long-distance, and international calls using their VoIP network, regardless of whether they're communicating with another VoIP customer or a PSTN number. Atlantech's Class 5 voice switch technology is based on Broadsoft, which is the industry leader for reliable and high-quality soft switch communications. When coupled with Atlantech's expertise, this soft switch technology guarantees best-of-class business voice communications. Selecting a vendor for hosted VoIP services can deliver cost savings and better productivity for businesses of all sizes. A provider who offers leading voice switch technology, along with expert support and quality of service, can ensure that clients enjoy high-quality voice communications and reliability. To learn more about Atlantech Online's options for hosted voice, click here.